Thirty year of innovation fused into the runner. Nearing its 30th Anniversary, the groundbreaking Nike Air Max 1 will enter a new era weighing less than ever due to a material update. 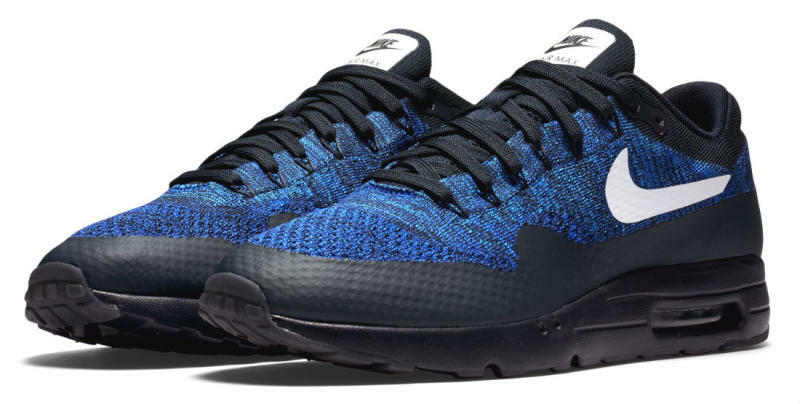 The Nike Air Max 1 Ultra Flyknit is the latest variation of the original from 1987. 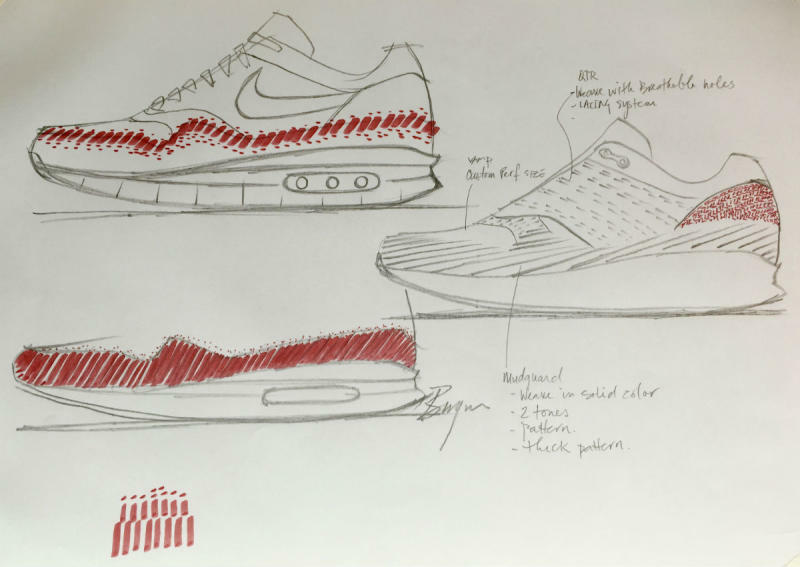 "I clearly have a strong affinity for the Air Max; however, it’s even more fun and amazing to watch our younger Design & Development teams operate," said original Air Max 1 designer Tinker Hatfield. "Design Innovation is picking up speed around here and a perfect example is through Flyknit. It’s getting lighter and more zoned for performance than I could ever have imagined." Fine tuning Hatfield's creation, project designer Ben Yun led a process that perfected the revamped silhouette through a series of prototypes. The iconic runner now features open Flyknit contruction in the toe and tongue for ventilation, closed construction in the heel for added support and a no-sew rand above the midsole. For the first time ever, the Air Max 1 is finished off with lightweight and flexible Ultra tooling. Said Yun about the reinvented classic, "The goal was to celebrate the comfort and design of the Max 1, but simplify it as much as possible, so that you don’t have anything getting in the way of the true fundamentals of the shoe." The Nike Air Max 1 Ultra Flyknit releases in men's and women's sizes and colorways on July 21 via the SNKRS App and July 28 at global retailers. 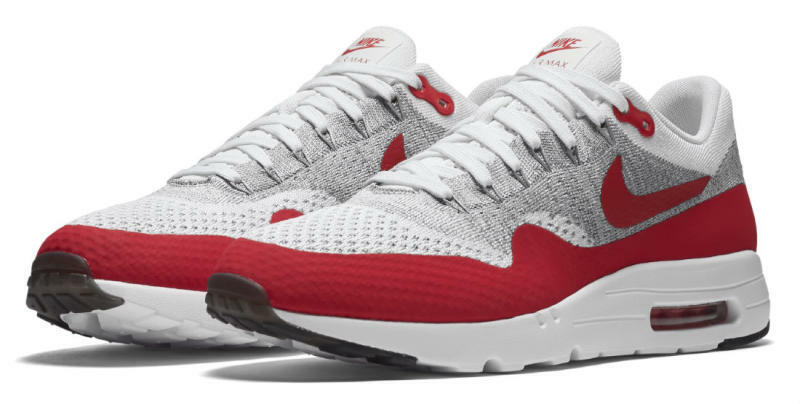 UPDATE 7/21: Nike has pushed the launch of the Flyknit Air Max 1 back to July 28.